Social care, educational services, healthcare assistance, rehabilitation and socio-cultural animation. P.G. Frassati Cooperative (Type “A”) has been constituted in 1976 by a group of social workers and voluntaries. The first residential service has been opened to host abandoned minors and emarginated people. Since early 80s, this experience has been increased with a progressive process of specialization and professionalization. The City of Turin, after recognizing the value of this experience, decided to sign an agreement with Frassati Co-op to open the very first two juveniles community homes in 1981 and a third one in 1983. At that time, the management of educational services for young people was Coop Frassati’s greatest interest, so that the constitution of community homes - that was going to be proposed as a good alternative to the institutionalization possibility - laid the basis of this evolution. During the following years, healthcare assistance and care home activities grew up very fast and diversified themselves. 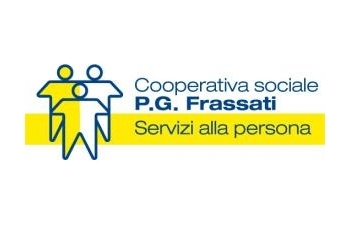 Frassati Co-op started to try new assistance experiences, to plan and to manage residential services dedicated also to other categories that were considered weak and at risk, like old people and people with motor, intellective, physical and psychic disabilities, disadvantaged adults and drug addicted. A specific area dedicated to plan and manage new healthcare assistance has been recently developed and is going to grow day after day. Our main services are: social care, educational services, healthcare assistance, rehabilitation and socio-cultural animation. They are all direct to prevent and control risks-effects of social distress and to promote also the growth of the local community. Our aim is to give a concrete contribution to build a society based on outreach, equality and social justice and to look for our workers’ satisfaction. These outcomes can be reached either trying to provide qualified job opportunities to Frassati’s members, either sharing Co-op’s decisions and values with them. Therefore, planning and management services are strongly inspired by principles of fairness; they are a free-initiative products and aim to respect user’s free choice. Our goals: promoting and empowering the final addressees of Co-op’s services providing them care actions, assistance and help, but always respecting their dignity, characteristics and creativity; promoting and sustaining the culture of wellness to build a new, incoming, man-sized society; promoting, spreading and increasing social politics; innovating services. P.G. Frassati Cooperative adheres to Legacoop, one of the biggest federation of cooperatives worldwide.